On this day in 2006 the final episode of Top of the Pops aired on the BBC. 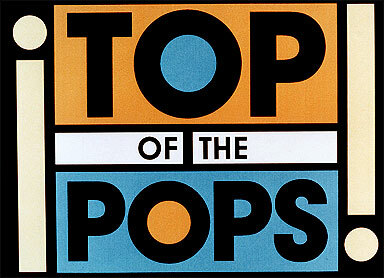 Top of the Pops was a British music television program that presented studio performances from some of that week’s best-selling popular music artists, with a rundown of that week’s singles chart. 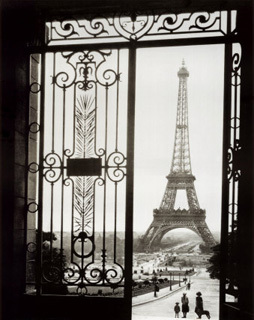 The show had been on the air in the UK since 1964. The final edition of the show featured archive footage and tributes, including The Rolling Stones (the very first band to appear on the program) the Spice Girls, David Bowie, Wham!, Madonna, Beyoncé, Gnarls Barkley, Kylie Minogue, and Robbie Williams. The show closed with a final countdown, topped by Shakira, as her track “Hips Don’t Lie” (featuring Wyclef Jean) had climbed to number one on the UK Singles Chart earlier that day. The show ended with Sir Jimmy turning the lights off in the empty studio. It was reported that 3.98 million people watched the program’s final episode. 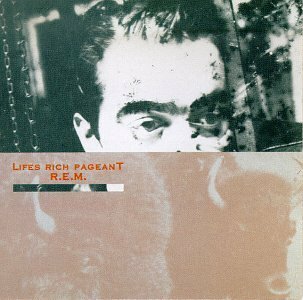 Today we have a video clip of The Smiths performing “What Difference Does It Make” on Top of the Pops in 1983. Enjoy! 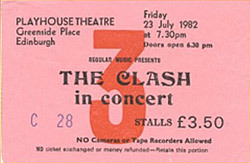 On this day in 1982, The Clash played at the Playhouse in Edinburgh, Scotland. Today we have Stay Free by The Clash from the album Give ‘Em Enough Rope. Happy Friday! 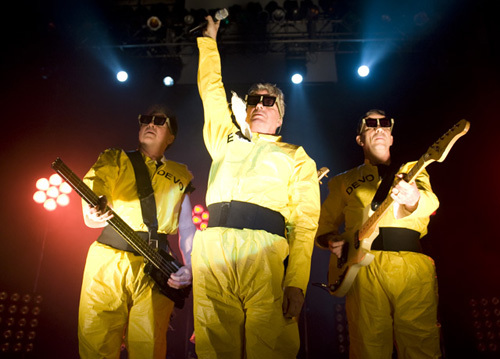 On this day in 2003 DEVO performed at the Orange County State Fair in Costa Mesa, CA. Today we have a live recording of Jocko Homo by DEVO. Enjoy! From what I understand Lindsay Lohan might be going to jail today, but I’m not sure. Today we have Rumors by Lindsay Lohan. On this day in 2007 the very first episode of the television series Mad Men aired on AMC.